Kate Middleton Intimidated by Prince Harry’s New Girlfriend Meghan Markle: Duchess Jealous of ‘Suits’ Star’s Beauty? And while the couple is yet to be seen in public together, there’s already speculation that Prince Harry’s sister-in-law Kate Middleton is none too happy with the relationship, especially considering that Meghan Markle will easily steal the spotlight from her with her natural beauty and Hollywood presence. Meghan herself fueled the Prince Harry romance rumors when she shared a photo on her Instagram account wearing an identical blue beaded bracelet that Harry allegedly gave to her as a gift. Prince Harry himself was last seen wearing the bracelet back in March, during the same time Meghan visited the U.K. So far neither Prince Harry nor Meghan Markle have commented on the relationship rumors. If Prince Harry does indeed step out in public with Meghan Markle, this will be bad news for someone as envious as Kate Middleton. The press and tabloid media will all focus on Prince Harry’s romance with a Hollywood star, leaving dull, awkward and stiff Prince William and Kate Middleton behind. Sure, they might be the main focus of the press right now when it comes to the royal family, but the moment Prince Harry debuts his relationship, all will be quickly forgotten as far as the Duke and Duchess of Cambridge are concerned. Surely, Kate will do everything it takes to keep Meghan as far away from Harry as possible. Knowing that Harry will take his sister-in-law’s love advice seriously, Kate’s hoping that she can influence him in one way or another to not take his relationship with Meghan too seriously. After all, she’s a television actress and even though she might have more glamour and personality than Kate herself, there’s no way that Queen Elizabeth would approve, especially since Meghan is from Hollywood. She already has to deal with one attention-seeking royal with the Duchess and according to the Queen, one person in the family like that is enough. Do you think Prince Harry and Meghan Markle should make their official debut as a couple to the press? 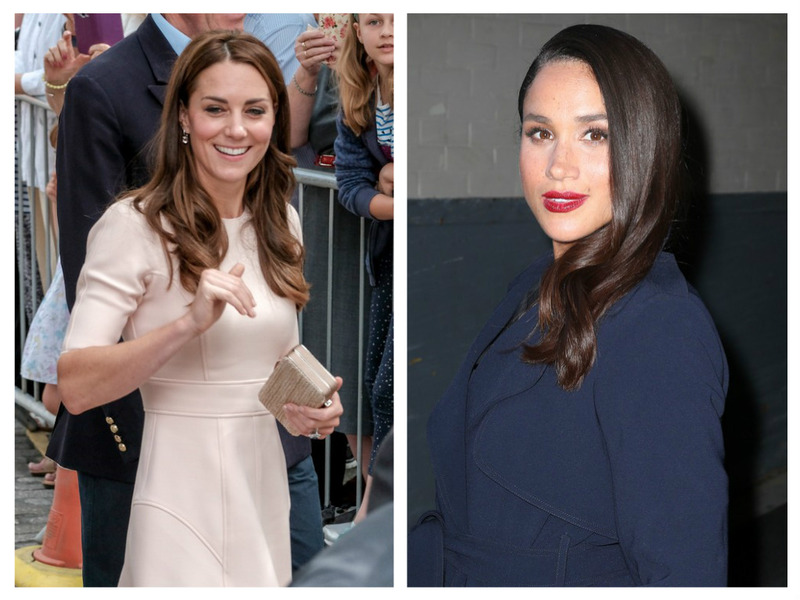 Is Kate Middleton going to be jealous of Meghan’s Hollywood status and of course, her natural beauty? Drop us a line in our comments section and check back with CDL for all the latest on the royal family. Kate Middleton And Royal Baby Forced To Share Palace With Prince Harry’s New Girlfriend? Pippa Middleton Dating James Matthews: Kate Middleton Delighted – Prince Harry Reunites With Lady Kitty Spencer? Prince Harry Next King Of England: Prince William To Lose Title From His Brother, Unfit For Role? Kate Middleton Fuming: Popular Prince Harry In Demand As Public Shuns Dull Prince William – Kicked Out Of Royal Spotlight!